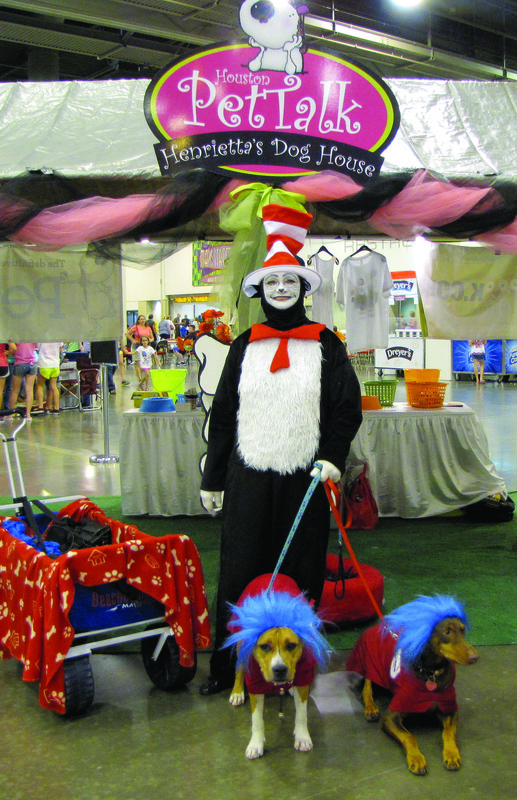 On Sunday, July 21, 2013 Reliant World of Dog Shows, the Galveston County Kennel Club‘s own The Cat In The Hat (played by board member Laura White) and it’s sidekicks Thing 1 and Thing 2 walked around the show passing out The Cat’s In The Hat Learning Library book “If I Ran The Dog Show – All About Dogs” to help encourage children to read. Galveston County Kennel Club’s President Cathy De La Garza had the club donate several of these books to local libraries and schools in the area. Thing 1 is a retired performance Doberman, RubyDo, and Thing 2 is an Amstaff puppy named Tabitha. Speaking of Amstaffs “Damien” was the demo dog for the Conformation Clinic presented by BIS AKC Judge Adelene Pardo on Thursday at the Reliant and also finished his championship that week too. 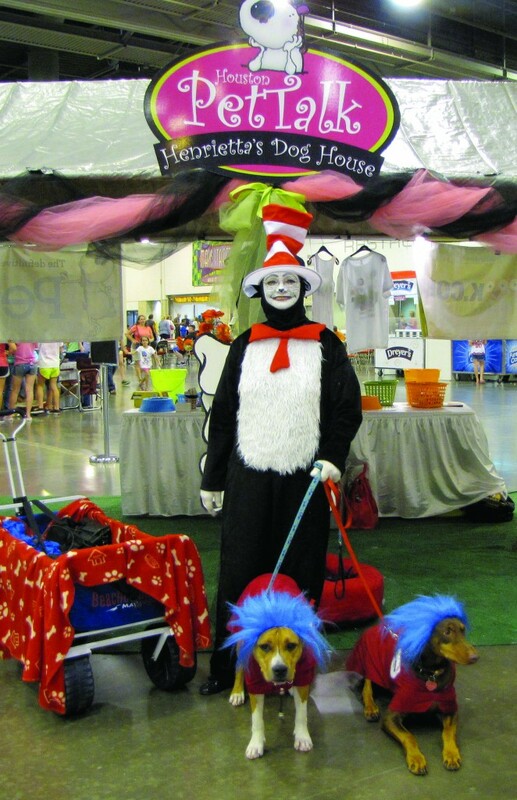 Both Tabitha and Damien were great representation for the Staffordshire Terrier Club of America that week doing Meet the Breed on Saturday, assisting The Cat In The Hat, and showing in conformation too. That was a very nice picture and representation of Amstaffs and Dobermans. What a neat idea about “The Cat In The Hat” too..Great job everyone!